this is when you need some extra planning, let yourself be guided by the suggestions of the staff of Trapani How to Survive! everyday, in the early morning, the fresh fish is sold on the market of Trapani, Marsala, Mazara. You may want to visit it if you are staying in a flat furnished with kitchen where you can cook some fresh fish; your children will like it too for all the different and colourful species displayed on the market stalls. 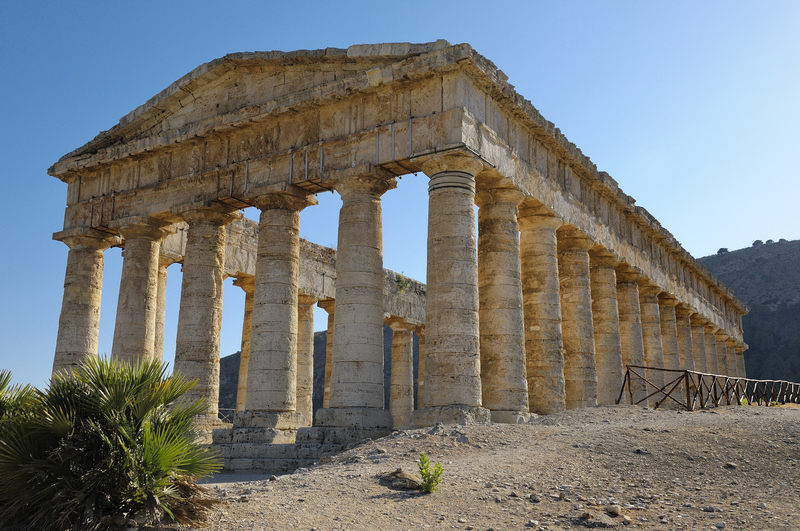 kids are amazed when they visit the ancient greek temples of the province of Trapani: the ancient temples are surrounded by a rich nature and the landscape is even more unforgettable for that. One hour there is surely more valuable than days and days spent on a book! your kids are too small to visit the islands by bike or on foot? 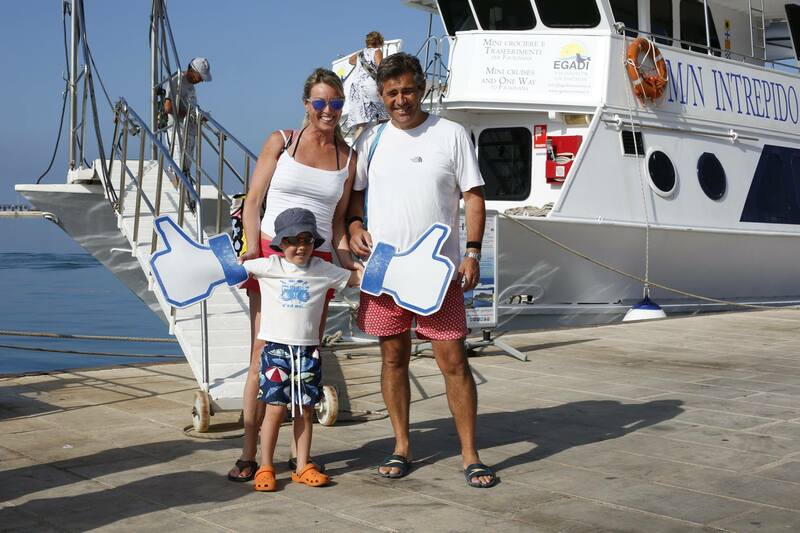 No problem, the motor vessel Intrepido will bring all the family to Favignana and Levanzo with the following advantages: nice price, all inclusive organization (you don’t even have to take with you the water you drink: it’s included! ), accommodations under the sun or in the shade, enough time for a visit on foot of the two islands and wonderful view upon them from the sea during navigation, the least effort for the best visit! If you are lucky you’ll meet dolphins accompanying the motor vessel Intrepido on its way to Favignana. I vantaggi sono diversi: convenienza di prezzo, gita organizzata nei minimi dettagli (non dovete portare con voi nemmeno l’acqua), possibilità di spostarsi tra i posti al sole e quelli all’ombra, mix perfetto di visita da terra e panoramica via mare, con il minimo sforzo e niente stanchezza. Indescrivibile la sorpresa, per grandi e piccini, nel vedere i delfini nuotare accompagnando la motonave nel tragitto Trapani-Favignana, come spesso accade. I loro piedini saranno stanchi ma voi lo sarete sicuramente di più. Godetevi un po’ di meritato riposo.